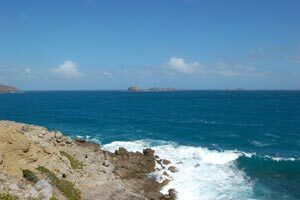 Villa UJV 138, also referred to as Caribbean Breeze, is a three-bedroom villa located in Anse des Cayes, St Barts. The large, conservatively decorated, open floor plan consists of the kitchen, dining and living areas. There is also a separate TV room. The outdoor living and dining terraces are laid with Portuguese stone and feature dramatic ocean views. Villa UJV 138 boasts one of the largest pools on the island, as well as a large mature garden. A family could all find a quiet area for themselves in this peaceful and private villa. 10 years old (for safety reasons). Copyright © 2019 Ultimate Jet Vacations. All rights reserved.